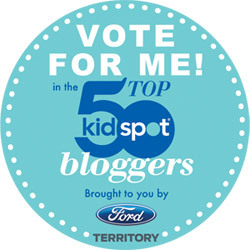 This post is my entry into the Kidspot Ford Territory Top 50. It is my journey into blogging and what sets my blog apart from the others. My son was 3 and my daughter was 2. My husband (an airline pilot) was away on trips regularly. I had very limited support or assistance. My life revolved around naptime, nappies and keeping our home running smoothly and to a schedule. Back then, I was big on routine. As is the case with many bloggers, I needed more. No, I didn’t start a blog to talk about my loneliness, thoughts, fears, ideas, triumphs and discoveries. Instead I learnt how to quilt. I joined a local church group and gained the confidence to learn how to do some basic embroidery. After a few months, I left the group and taught myself how to quilt by watching YouTube clips and reading tutorials on blogs. Fabulous blogs. Inspiring blogs. Blogs which taught me so much and gave me a new lease on life. Blogs which made me lose myself (and many, many hours) in the beauty which was possible. I had discovered this wonderfully creative community, who gave their knowledge, their experience, their support, so freely. So in 2010, Samelia’s Mum was born. It was small and I blogged irregularly. Looking back, I probably blogged 3 or 4 times per month – whenever I had a new project completed and ready to show. As my experience grew, so did the number of posts. I began to write my own tutorials. 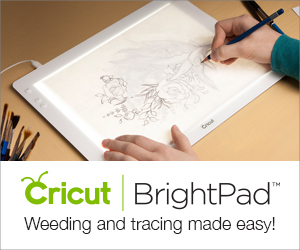 My patterns and tutorials began to appear in magazines and How-To websites. I love this journey which blogging has helped me take. Yes, I made this mini quilt. It will hang on my sewing studio wall, and is a constant reminder of what is possible, through blogging. Life has many facets. Sure, a big part of my blog is about creativity and craft. 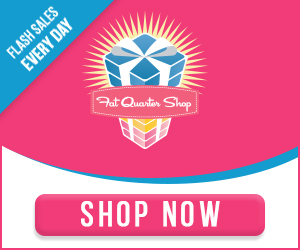 But I’m not just a quilter. I’m a mum. I’m a wife. I’m a member of the P and F. I have more going on that just sewing. This is where my blog is different. Samelia’s Mum doesn’t fall into a niche or group. I’m not just a quilt or craft blogger. And I’m not just a mum blogger. I’m not just a personal blogger. I’m all three… and sometimes more. I talk about my life and often ask for advice. My readers are from all over the world and have so many different experiences – I value their comments and their knowledge. They are my friends. Samelia’s Mum has come a long way, but is still growing. Evolving. Just as I am. Just as we all are. For your chance to win $5000, vote for Samelia’s Mum in the Kidspot Ford Territory Top 50 Bloggers. ....and that's why we love you!! Can't wait to sew with you! Apart from Ally, everyone I sew with is over 60 so your blogs are a welcome relatable read. I taught myself via youtube too :-) Keep 'em coming, Anorina! My blog wants to be you when it grows up!! Thank you for sharing your story. And that quilt is Ah. May. ZING! 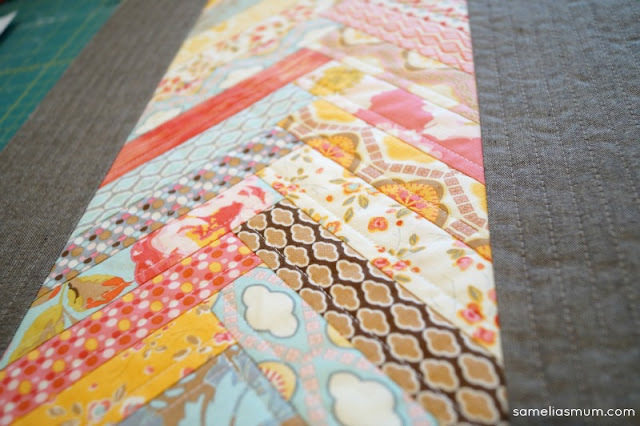 Love the mini quilt Anorina! And I agree with Alyce - my blog wants to be like yours when it grows up too! I think I'm a mini-quilt-a-holic! Good luck with getting to BlogHer - that mini quilt is a winner! I've voted for you as well. I love the story and love the blog. 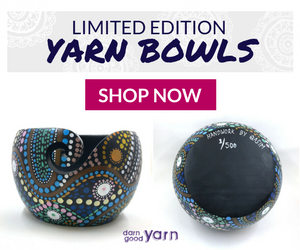 Its inspiring to see the things you make. Good luck with the contest! 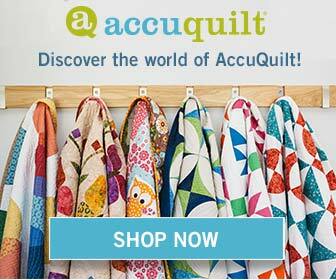 It was lovely to see your again Anorina - I love the story of your blog.Love the Blogher Quilt. I am going to search your archives because I want to make quilts for my little guys , now they are at school and I should have more time. Thanks Trish. It was lovely to see you again. Enjoy the quilting. It's addictive - and much easier to do when the kids are at school.